SXSWEdu is over and my mind is humming. There’s been a lot of buzz about the strange and random blend of tech, business, young start-ups, academics, K-12 educators, and policy makers that was this year’s SXSWEdu and whether or not it works or whether the focus is what it should be. I think one thing that makes it a fertile conference is the tension between some of those areas and also the crossover between them. All of these entities don’t mingle together too often in this large of a way, and it both creates opportunities and raises provocational questions. Having said that, however, I still believe the organizers need to evoke that tension a little more intentionally. I would like to see more panels with a mixture of corporate and academic members to create a dialogue and pushback. There were too many panels that were entirely corporate, without any representation from educators, speaking on “educational” subjects. Another area where I see room for growth in the conference is improving the “blend” on the K-12 side–there were far too few students and teacher-practitioners represented at a conference filled with start-ups selling products for those audiences and far too much focus particularly on “big data” or “data.” Education isn’t just a corporate commodity, folks. Let’s respect that. And lastly, the closing keynote lacked what I would expect from any SXSW event, which is a little something creative to mix it up. It read more like an advertisement at a business conference, than a keynote for a conference that was roughly 60% educators of some type and that was focused on education. SXSW Interactive has had over the years lots of really interesting panels and has had a lot of progressive speakers. A closing SXSWEdu keynote should bring that same sort of energy. It doesn’t feel like the conference organizers are respecting that blended audience or understanding the needs of either community well enough with that sort of keynote. But one of the strengths of the diversity of the attendees is that they are twitterized and networked and vocal and will push back, speak up, and challenge everything. And despite my critique, I feel that SXSWEdu is getting its feet on the ground after its initial misfires of year one, and hopefully the organizers will really listen to the feedback. There were a lot of good things. It is interesting having the LaunchEdu sessions–because it’s interesting as an educator to see the whole process. The name SXSW draws a lot of interesting people from all over with a lot of diverse concerns and interests. There’s plenty of social events for participants to mix together and build new connections across unusual paths. Educators are treated like they are not at many other conferences (meaning there are lounges and water and snacks and gatherings and green rooms for speakers).The Maker Spaces room was interesting–the Google lounge was creative(and informative). There’s a lot of smart people there. 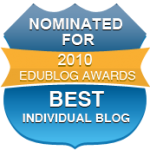 I like mixing it up with k12 and the academic worlds. And what I like the best is that it’s on my doorstep so I have a lot more opportunities to be a part of it as it grows. (and it brings so many cool people here who I respect, can get to meet or know better or friends and colleagues I just want to spend time with). There’s just something strange but good about the mashup of things. Because it’s real and reflects the messiness of the education world. Will I go again? For sure. Plenty of meat there (and I don’t just mean BBQ) and plenty of interesting people and great conversations. But like any mashup–the balance has to be right. Especially because it is SXSW. Especially because the Austin Chronicle knows about the right side of things. The other SXSW events balance the indie and grass-roots with the market side. 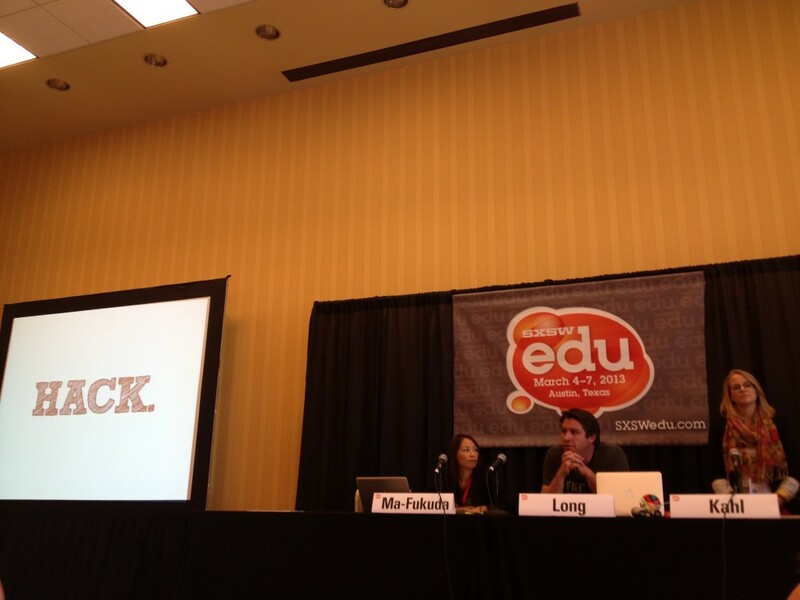 While SXSWEdu was dramatically more substantial this year, I just hope that SXSWEdu finds that balance. Why do I care? Because we really need that — there are plenty of conferences that represent the corporate side. And I expect SXSWEdu can help connect the energy of young startups–their enthusiasm, and for some, their real concern for educators, and the energy of passionate and smart educators in a good way. Here’s hoping.